Asser International Sports Law Blog | Overdue payables in action: Reviewing two years of FIFA jurisprudence on the 12bis procedure – Part 1. By Frans M. de Weger and Frank John Vrolijk. ← Overdue payables in action: Reviewing two years of FIFA jurisprudence on the 12bis procedure – Part 2. By Frans M. de Weger and Frank John Vrolijk. In this first blog, we will try to answer some questions raised in relation to the Article 12bis procedure on overdue payables based on the jurisprudence of the DRC and the PSC during the last two years: from 1 April 2015 until 1 April 2017. The awards of the Court of Arbitration for Sport (hereinafter: “the CAS”) in relation to Article 12bis that are published on CAS’s website will also be brought to the reader’s attention. In the second blog, we will focus specifically on the sanctions applied by FIFA under Article 12bis. In addition, explanatory guidelines will be offered covering the sanctions imposed during the period surveyed. 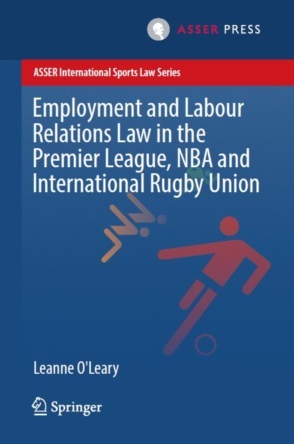 A more extensive version of both blogs is pending for publication with the International Sports Law Journal (ISLJ). If necessary, and for a more detailed and extensive analysis at certain points, we will make reference to this more extensive article in the ISLJ. In 2015, FIFA announced a very significant addition to the Regulations on the Status and Transfer of Players (hereinafter: “the RSTP”): the inclusion of a new provision on overdue payables by defaulting clubs towards players and other clubs. On 1 April 2015, the 2015 edition of the RSTP gave birth to a fast-track procedure to deal with overdue payables enshrined in Article 12bis (hereinafter: “the 12bis procedure”). In its Circular letter no. 1468, FIFA also strongly urged all of its member associations to make sure that their affiliated clubs were informed of this new provision immediately. From Article 12bis, which is also laid down in the 2016 edition of the RSTP, it follows that clubs are required to comply with their financial obligations towards players and other clubs as per the terms stipulated in the contracts signed with their professional players and in the transfer agreements signed with other clubs. In accordance with Article 12bis FIFA is entitled to sanction clubs that have delayed a due payment for more than 30 days without a prima facie contractual basis. It was a real thorn in the side of FIFA that too many clubs, on a worldwide level, did not comply with their financial contractual obligations without legitimate reasons. With the introduction of this provision, it was not only FIFA’s aim to continue its process to further speed up its proceedings, but also to establish a stronger system regarding overdue payables towards players and clubs. FIFA stressed that it wanted to further improve efficiency and provide clear regulatory steps to deal with overdue payables from clubs to players and from clubs to other clubs. As from 1 April 2015, the Dispute Resolution Chamber (hereinafter: “the DRC”) and the Players’ Status Committee (hereinafter: “the PSC”) are FIFA’s competent authorities to deal with claims on overdue payables in relation to Article 12bis. Both FIFA committees were given a wide scope of discretion to impose sanctions on defaulting clubs, such as fines and transfer bans. In fact, the possibility to impose sanctions is critical to support a stronger and more efficient dispute resolution system regarding overdue payables, as we will see in the second blog. The introduction of FIFA’s 12bis procedure also gave rise to many (legal) questions. For example, are only clubs and players entitled to lodge a claim before respectively the PSC and the DRC? Or are other parties, such as coaches and national associations, also entitled to raise their claims under 12bis? Do claims for training compensation and solidarity contribution fall under 12bis? Can the 12bis procedures be considered as a real fast-track procedure? Under what circumstances can an offence be considered a repeated offence? And also, since the imposition of sanctions is key to the efficacy of the 12bis procedure, under what conditions will these sanctions be imposed? These are only a small sample of the questions that arose after the introduction of the 12bis procedure. In this first blog, we will try to answer the most important questions raised based on the jurisprudence of the DRC, PSC and CAS. As a starting point, it must be noted that exactly 137 decisions by the DRC and the PSC regarding Article 12bis have been published by FIFA on its website between 1 April 2015 and 1 April 2017. Of these 137 decisions, 99 decisions have been dealt with by the DRC, including 58 decisions issued by the DRC Single Judge. Additionally, 32 decisions were passed by a Chamber of three judges, whereas 24 of these decisions were passed by circulars and eight were passed by a decision of a sitting Chamber in Zürich, Switzerland. Only nine FIFA decisions were passed by a Chamber of five judges. From the 38 decisions of the PSC, 37 were issued by its Single Judge and only one was issued by a Chamber of three judges via a circular. It can be noticed that in most “renouncement of right cases” (in which defaulting clubs have not replied to the claim of the claimant party), a Single Judge has dealt with the case. Analysing the decisions, it is striking that all claimants in the 137 decisions won their cases. In other words, in none of the decisions of the DRC and the PSC it was found that a “prima facie contractual basis” existed for the respondent party, which would justify non-compliance with the original contract. A sanction was imposed in all decisions. It can further be observed that in the great majority of the decisions, the respondent party did not reply to the claim. As we will see, the absence of a reply will generally result in more severe 12bis sanctions for the defaulting club. The jurisprudence of FIFA also illustrates that the 12bis procedure are a step towards swifter proceedings. In the last years we have already noted a positive development with regard to the length of ‘regular’ proceedings before FIFA (not including the 12bis procedures). With regard to the 12bis procedure, FIFA stressed that it has shortened the timeframe for decisions taken on overdue payables, with decisions now being taken within eight weeks and claimants being notified of a decision within nine weeks of lodging their complete claim. After analysing the 12bis decisions of the DRC and the PSC, it is clear that FIFA actually lived up to these expectations. The average duration of a 12bis procedure is two months. It is only exceptionally that a 12bis decision lasted longer (four or ultimately five months) or even took less time (one or one and a half months). As illustrated in Figure 1, approximately 67% of the PSC and the DRC procedures were concluded within eight weeks. Approximately 80% of both FIFA decisions were dealt with within 10 weeks. The two years of jurisprudence show that the personal scope of Article 12bis must be interpreted strictly. As follows from the text of Article 12bis(3), only players and clubs are entitled to lodge a claim before FIFA. Put another way, coaches, national associations and intermediaries do not have standing to sue in the 12bis procedure. This textual interpretation of the provision is confirmed by the jurisprudence of the DRC and the PSC. In fact, none of the reviewed decisions of the DRC or the PSC involved a party who was not a club or a player. Additionally, it can be concluded that claims for training compensation or related to solidarity mechanism are also excluded from the scope of Article 12bis, as this opportunity is not provided in the provision. Moreover, the current jurisprudence does not leave room for any other interpretation. With regard to training compensation and solidarity mechanism, this means that FIFA gives to “overdue payables” a different meaning than the UEFA Club Licensing and Financial Fair Play Regulations, since outstanding amounts for training compensation and solidarity mechanism are considered by UEFA as overdue payables. The same is true for outstanding payments due by clubs to other (than player) club employees and debts by clubs to social/tax authorities; such outstanding amounts will not be considered by FIFA as ‘overdue’ under Article 12bis. Generally, the DRC deals mainly with contracts signed by clubs with professional players. These include employment contracts but it is to be expected that separate agreements could also fall under the scope of Article 12bis as long as specific elements of that separate agreement suggest that it was in fact meant to be part of the actual employment relationship, as the DRC decided in many other cases (not being 12bis procedures). This is for example the DRC’s position with regard to image right contracts. Based on the jurisprudence reviewed, it follows that termination agreements fall under the scope of Article 12bis. The PSC will only deal with transfer agreements, including both transfers on a definite as well as on a temporary basis. It is to be expected that agreements between clubs that do not concern the status of players, their eligibility to participate in organised football, and their transfer between clubs belonging to different associations, will most likely not fall under Article 12bis. Finally, it also follows from Article 12bis(3) that the creditor (player or club) must have put the debtor club in default in writing, granting a deadline of at least 10 days to comply with its financial obligations. Regarding this 10-days deadline, FIFA follows a strict interpretation, as we will see in the following paragraph. As follows from the wording of Article 12bis and the corresponding jurisprudence, two prerequisites must be met to establish that an overdue payable exists under Article 12bis. First, the club must have delayed a due payment for more than 30 days without a “prima facie contractual basis”. Second, the creditor (which is the player or club) must have put the debtor club in default in writing, granting a deadline of at least 10 days to comply with its financial obligations. In all the published decisions the FIFA committees verified that a 10-days deadline had been granted. We can therefore assume that this 10-days deadline is a prerequisite for the DRC and the PSC to proceed with the claim. Although Article 12bis is not entirely clear as regards the start of the “10-days deadline”, the jurisprudence shows that it runs as soon as the 30 days have elapsed. Disputes can arise with regard to the fulfilment of the “10-days deadline”. For example, in the CAS award of 9 May 2016, the player had filed a statement of claim before the DRC on 25 March 2015 and then sent a letter to the club on 30 March 2015 (i.e. five days after filing a claim at the DRC) putting the club in default for the overdue payment. The club however argued that this was a violation of Article 12bis(3) of the RSTP, edition 2015, as it did not make any legal sense whatsoever to address a default notice to a party after lodging a claim at FIFA. The CAS however stated that it was clear that the player had already given the club ample opportunity (the player stated that it had already provided three separate notices of default) to fulfil its obligations in conformity with Article 12bis. The CAS therefore found it curious that the FIFA administration still requested the player to issue yet another default notice in such a situation when it was clear that the player had already given the club many opportunities to fulfil its obligations. This part of the award is interesting. On the one hand it shows that (the) FIFA (administration) obliges creditors to send a “10-days deadline” default letter under all circumstances, while on the other hand it is to be expected that the CAS might show more flexibility. Interestingly, in a case before the PSC, the claimant club put the respondent club in default of payment, starting the 10-days deadline on the exact same date of the submission. This practice was accepted by the PSC. In other words, in order to gain time, claimants might be able to lodge a claim in front of FIFA before the “10-days deadline” of Article 12bis has passed. To establish whether “overdue payables” exist, it is decisive that the “overdue payables” existed after 1 April 2015 (the date on which Article 12bis came into force). This is also confirmed by the CAS. In its CAS award of 17 June 2016, the Italian club Pescara referred to the fact that the agreement between Pescara and the Belgian club Standard Liège was entered into on 10 July 2012, while Article 12bis did not take effect until 1 April 2015. Pescara stated that it had no means to know that Article 12bis would be enacted nearly three years later. The Sole Arbitrator however found it decisive and stressed that the claim made by Standard Liège was made after 1 April 2015 and that Standard Liège referred clearly to the overdue payables from Pescara. At the end, all that matters, according to the CAS, was the existence of overdue payables at the assessment date and that the assessment date was after 1 April 2015. For the sake of clarity, the fact that the DRC and the PSC have decided in 12bis procedures that a defaulting club must pay to the claimant overdue payables does not touch upon the question whether the contract has been terminated with just cause. To put it bluntly, a decision in a 12bis procedure does not justify a unilateral termination based on Article 14 of the RSTP; no legal connection exists in this regard. The jurisprudence of the DRC in relation to its ‘regular’ proceedings (not being 12bis procedures) generally shows that a valid ground for unilateral termination exists only in case there is outstanding remuneration for a period of three (or sometimes two) months. This means the existence of an overdue payable under Article 12bis does not automatically give the claimant the legal right to unilaterally terminate the contract with the defaulting club. It should also be noted in this regard that it follows from Article 12bis(9) that the terms of Article 12bis are without prejudice to the application of further measures derived from Article 17 RSTP in case of a unilateral termination of the contractual relationship. In the second blog we will focus specifically on the sanctions available to FIFA under Article 12bis and will provide explanatory guidelines covering the sanctions imposed during the period surveyed. This contribution discusses the jurisprudence of the FIFA Dispute Resolution Chamber (DRC) and the Players’ Status Committee (PSC) as published on FIFA’s website in the period between 1 April 2015 and 1 April 2017. Decisions published after the date of 1 April 2017 (even if issued before this date) will fall outside the scope of this contribution. The awards of the CAS in relation to Article 12bis will also be discussed in this contribution. However, only the awards as published on the website of CAS before 1 April 2017 will be discussed in this contribution. As far as we know, several cases regarding art. 12bis are currently also pending before CAS. As was also introduced in FIFA Circular no. 1468, dated 23 January 2015, the new Art. 12bis is added to the list of provisions that are binding at national level and must be included in the association’s regulations (cf. Art. 1(3)(a) of the RSTP. Dispute Resolution Chamber: http://www.fifa.com/governance/disciplinary/dispute-resolution-system.html. Accessed 1 April 2017. Players’ Status Committee: http://www.fifa.com/governance/disciplinary/dispute-resolution-system.html. Accessed 1 April 2017. PSC 20 June 2016, no. op0616676. See for the shorter procedures: inter alia DRC 18 May 2016, no. op0516646, DRC 29 February 2016, no. op0216229, DRC 15 July 2016, no. op0916308 and DRC 30 November 2015, no. 11151578. See for the longer procedures: inter alia DRC 3 June 2016, no. op0616046, DRC 7 April 2016, no. op04161633, DRC 15 October 2015, no. op1015914 and DRC 1 October 2015, no. 1015648. DRC 13 December 2013, no. 12131045 and DRC 17 January 2014, no. 114396. See also DRC 30 August 2013, no. 08133402, DRC 10 February 2015, no. 02151030 and DRC 28 March 2014, no. 03141211. See also CAS 2014/A/3579 Anorthosis Famagusta FC v. Emanuel Perrone, award of 11 May 2015. See inter alia DRC 26 November 2015, no. op11151356. See inter alia PSC 13 September 2016, no. op09161090. See inter alia PSC 11 June 2015, no. op0615618 and PSC 20 February 2017, no. op02172015. Art. 1(1) RSTP, edition 2016. Moreover, parties should be aware that the 30 days deadline will start to run only after the so-called “grace periods” has passed, which also explicitly follows from the applicable jurisprudence of FIFA. A grace period can be considered as the period immediately after the deadline for an obligation during which the amount due, or other action that would have been taken as a result of failing to meet the deadline, is waived provided that the obligation is satisfied during the grace period. See DRC 14 November 2016, no. 11161545-E. Also in “regular” DRC cases so-called “grace periods” are accepted. See inter alia DRC 6 November 2014, no. 11141064. 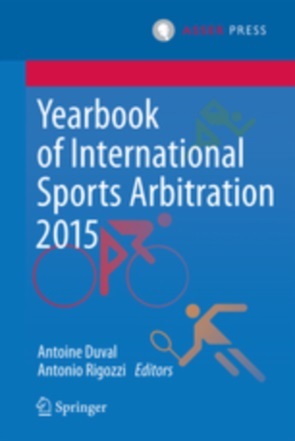 See CAS 2015/A/4153 Al-Gharafa SC v. Nicolas Fedor & FIFA, award of 9 May 2016. From this award it follows that FIFA applied the incorrect version of the RSTP in its decision of 22 June 2015 as a result of which Art. 12bis was not applicable. PSC 30 November 2015, no. 10151052. Also in its award of 17 June 2016, another Sole Arbitrator stressed that as Art. 12bis has been implemented within the 2015 edition of the RSTP, FIFA has the power to impose a sanction listed in Art. 12bis(4) RSTP in that specific case. See CAS 2015/A/4310 Al Hilal Saudi Club v. Abdou Kader Mangane, award of 17 June 2016. See inter alia DRC 7 September 2011, no. 9111901 (two months) and DRC 11 May 2011, no. 129795 (three months). See also DRC 17 December 2015, no. 12151368. Please note that CAS will hold on to a period of three months in order to establish that a just cause exists; See inter alia CAS 2015/A/4158 Qingdao Zhongneng Football Club v. Blaz Sliskovic, award of 28 April 2016.